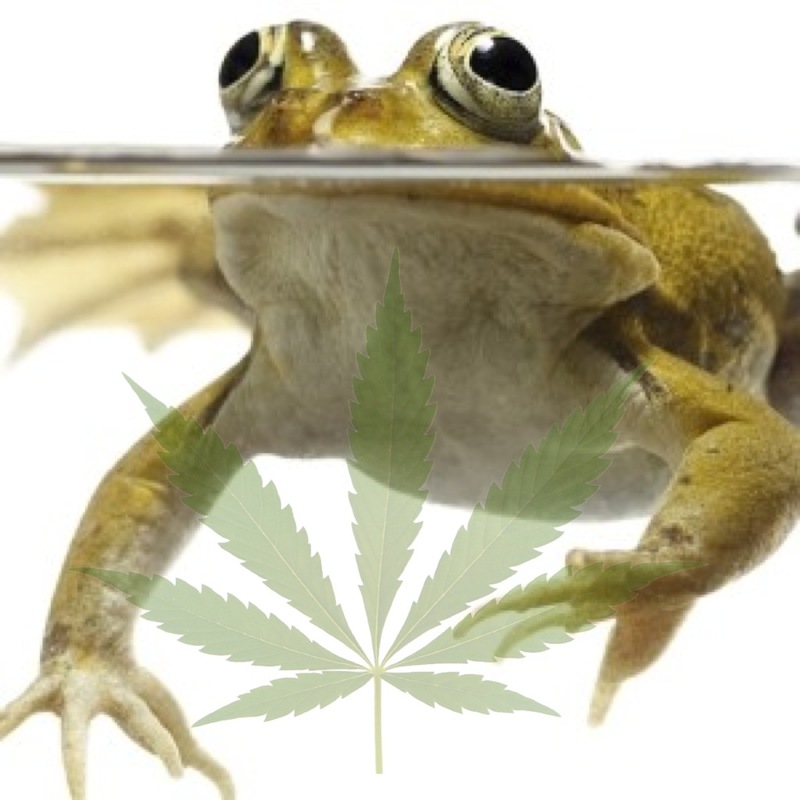 The slow boil of marijuana legalization is underway. When will we panic? And, will it be too late? Those of us involved in monitoring the rise of corporate marijuana should understand the value of our disquiet. It is an early warning sign. Over twenty years ago M.I.T. systems thinker, Peter Senge, wrote about the “parable of the boiled frog.” In short: if you place a frog in a shallow pan of boiling water it will immediately try and jump out. But if you place the frog in warm water, and don’t startle him, he will remain there, unbothered. If the temperature of the water rises gradually, the frog will stay put in the pan, until it’s too late and he’s unable to climb out. As ghastly as the image of the boiled frog is, the lesson is clear. We are not unlike the frog. Our ability for sensing threats to survival is geared to immediate and sudden changes, not to slow, creeping, gradual changes. What are the top factors which will awaken the rest of America to the bigger picture? Can we make clear the threats and opportunities we sense around us, or is the lull of the warm water just too tempting for a country brimming with distraction? Can we pay attention? 1. The canaries in the coal mine are youth users. We need a laser focus on the impacts of this drug on developing brains. Social boundaries are porous. A 21-year-old legal limit clearly has no meaning. Where there is more marijuana, more social acceptance for getting high, and more marijuana marketing, there is more youth use. 2. Marketing and misinformation are driving use rates up. Advertising must be stopped, or sharply restricted. There are limits to free speech. One cannot yell “FIRE” in a crowded theater, lest a stampede harm the crowd. Why is the standard any different for recreational drug promotion? We are witnessing the harms caused directly by marijuana marketing. 3. Addiction-for-Profit is a business model that must be called into question. How can we stand by when Wall Street prospectors openly call for investment in a market which hinges on addictive consumption? We have an equation where new corporations can internalize private profits, while 80% of profits are gleaned from the 20% who are chronic users. Meanwhile social costs are externalized to the public — for drug treatment and other mental health care costs, unemployment benefits, remedial education, public safety violations, emergency room visits, and enforcement costs. The list of social costs is long. The net outcome is a drain on public coffers. 4. “High potential for abuse” points to a market phenomenon that quickly slips out of control. We are witnessing the early impacts of an uncontrolled marijuana market. Legalization and drug normalization is a failed policy experiment — dead on arrival, actually. Incarceration is not an appropriate intervention for a treatable mental health issue. This is a broadly accepted. Mental health interventions are more appropriate, and likely more effective, but also costly. Driving up use will drive up the costs of responding to more drug abuse and its attendant health and safety fallout. 5. We are on the threshold of a mental health crisis in America. Recreational drug use makes the problem worse. Mental health parity is the law of the land — and justly so. But this also means that compromised mental health creates new and substantial costs and burdens on the American healthcare system. Better that we handle drug abuse as a mental healthcare problem rather than a strictly criminal problem. But by expanding supply and acceptability of recreational drug use we are in the business of manufacturing MORE addicted individuals — with addiction-for-private profit schemes, and then moving drug addicted individuals into treatment programs — more often at public expense. The public and personal costs of this avoidable mental health crisis will be substantial. Scientific and medical journals and experts are increasingly publishing findings on the health harms of casual and chronic cannabis use and the following links are all informative. The slow motion train wreck is coming into clearer view and gathering speed. Corporate marijuana’s gradual process of picking off states one-by-one with written to deceive pot laws has led to a slow and steady trending toward more illicit drug use and abuse. — Addiction to marijuana is on the rise. — CBS News: Where there is rising marijuana addiction, there is rising heroin addiction. — Bloomberg: Scientists are bracing for marijuana abuse as laws ease. — NIH: Is Mj addictive? Yes. The number goes up to about 1 in 6 in those who start using young (in their teens) and to 25-50 percent among daily users. — Colorado State University took a sober look at the the fiscal impact of the proposed Amendment 64 tax measures. Revenues will not reach the overly optimistic projections of $40 million (which would not build even ONE new school). Marijuana tax revenues may not cover the incremental state expenditures related to legalization. Peak marijuana revenues will be the initial years, before flattening and declining. The analysis is suggesting that there are no public good fiscal justifications to legalizing this drug. — Rand is looking at the scale of marijuana use in Washington leading up to their “Grand Opening”. Youth use is on a sharp incline. Added by Steve Killings on June 21, 2014. Addiction to marijuana is expected to rise substantially as states loosen medical marijuana laws and allow recreational marijuana use. Currently, two states allow marijuana use as a recreational drug, Colorado and Washington State, and 22 states allow marijuana for medical purposes. On May 30, the Republican controlled House voted 219-189 to stop the Justice Department from prosecuting the use of medical marijuana in states whose legislatures have approved the drug for medical purposes. The vote signals a significant relaxation of drug control policies begun under the Anti-Drug Abuse Act of 1988. Advocates of addiction relief are not pleased with the vote. According to the National Institutes of Health (NIH), using marijuana for an extended period of time can lead to addiction. It is estimated that 9 percent of marijuana users will become addicted to the drug. This percentage increases to almost 17 percent if the user started to smoke marijuana in their early teens. If the person uses marijuana daily, the rate of addiction is 25 to 30 percent. 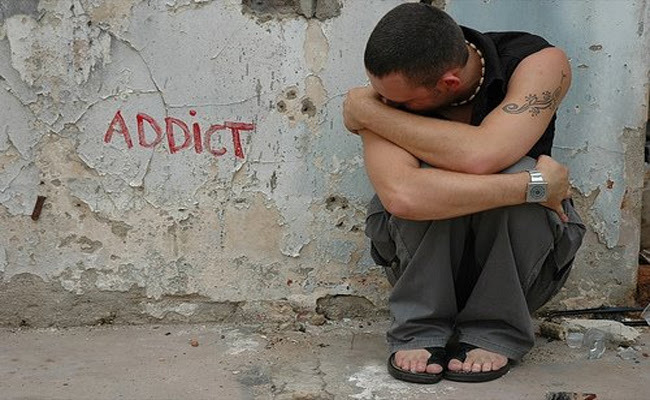 The NIH measures addiction by its withdrawal symptoms. Addicted marijuana users trying to quit will feel symptoms similar to nicotine withdrawal. They will report being irritable, have difficulty sleeping, experience anxiety, and feel a craving to use the drug again. Addicted marijuana users trying to quit will also show increased aggression after they used the drug last. A report last year by Colorado State University estimated that over 665,000 Coloradans will use recreational marijuana in 2014. A similar report by the RAND corporation estimated Washington State marijuana users numbered around 610,000 in 2012. These numbers are expected to rise as marijuana use is introduced to a larger percentage of the population. By NIH estimates, the number of marijuana addicts in these states is expected to be over 114, 000 persons, a number that will increase depending on the amount of daily use, and how soon users were introduced to the drug. Marijuana and heroin use are on the rise in the United States overall. According to the Substance Abuse and Mental Health Services Administration (SAMHSA), 7.3 percent of Americans over 12 years of age self-reported the use of marijuana in 2012, an increase from previous years. In addition, 50,000 more heroin users self-reported in 2012 than in 2011. The number of non-medical new-users of marijuana also saw an increase to 2.4 million people. Other drugs that saw increases in non-medical first-time users were painkillers, tranquilizers, Ecstasy, and cocaine. The significant increase in marijuana addiction in the United States has put pressure on health organizations to study the drug more closely in order to understand long-term effects. According to Federal law, however, the only agency that can grow marijuana for clinical purposes is the National Institute for Drug Abuse which maintains a farm in Mississippi. Organizations like the Marijuana Policy Project in Washington D.C. are lobbying the Federal Government to approve more licenses for clinical tests. With marijuana addiction on the rise and the Federal Government stepping down efforts to regulate the drug, State and Federal health policy makers and addiction relief advocates will be scrambling to find policy solutions to treat a new wave of marijuana addicts who want to kick the habit.